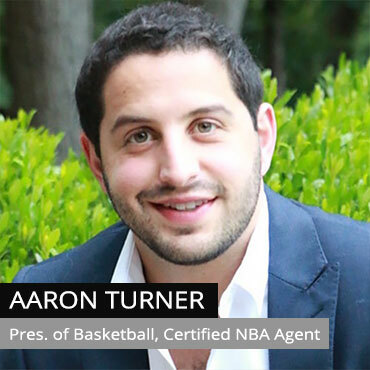 Labeled as a hybrid of business and basketball, Aaron’s passion for basketball development and business led him to co-found Verus with Gregg Levy. Prior to Verus, he gained both business and consulting knowledge through his experience and relationships in the training and management world. At age 29, Aaron had his first first-round pick, Terry Rozier, who made the biggest climb in the 2015 NBA Draft to be selected 16th overall. Aaron is key in developing his clients’ skills on the court, managing day-to-day client interaction and assuring all client requests are fulfilled. He is from Cleveland and has strong ties to the grassroots basketball scene of Ohio.